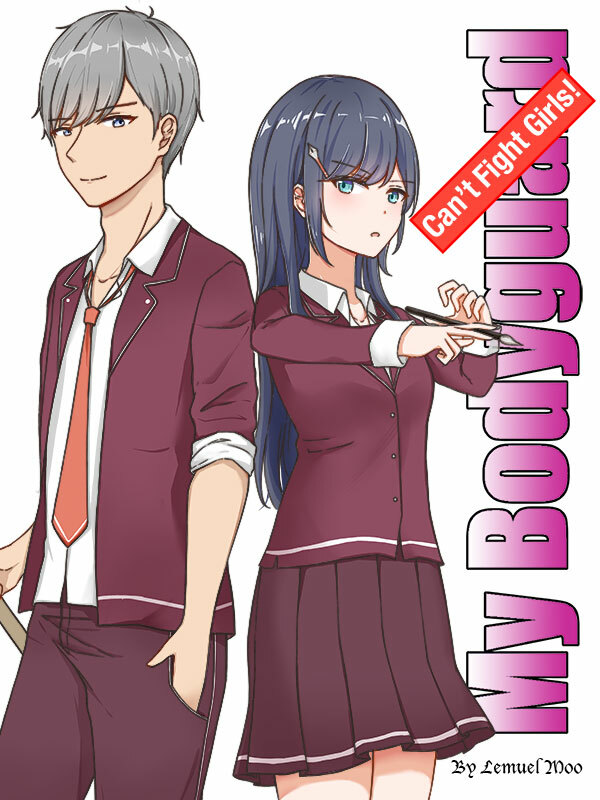 My Bodyguard Can’t Fight Girls! The image above is commissioned art. Clere Sigrun is the female protagonist of the story. She holds a secret which she initially didn’t know about from her birth, and many criminal syndicates wanted to kidnap her to obtain that secret. Though she is beautiful, she lacked friends because of her sheltered life. She studies in high school at Aelfsige Academy. Agatha Sigrun hired Gale Gainsborough to protect her. With Gale’s protection, she is allowed freedom and doesn’t need to subscribe to curfews. However, Gale is weak to girls and cannot fight them, so she had to step up when that happens. Clere is a beautiful 15-year-old girl and her beauty ranked 9th in Aelfsige Academy. Her chests are not big but the curves on her body score many points among guys. 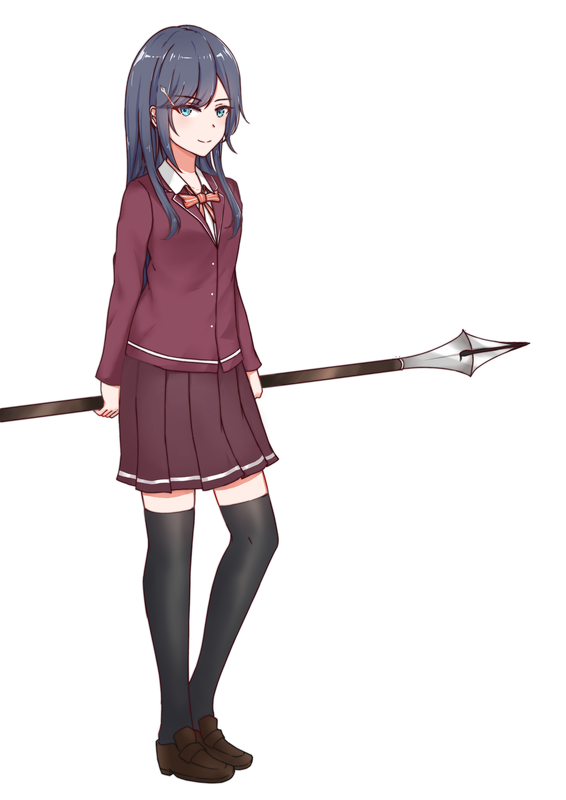 She carries two types of weapons. Either an oriental brush or a large fountain pen. Clere has never been confident about herself because of her capable and beautiful sister. Despite that, she is extremely knowledgable, perceptive and intelligent, and Agatha Sigrun touts her as a scholar in the family. Clere has a huge sense of justice and is willing to help others in need. She’s particularly sensitive to Gale’s jokes and she will punish him if she deems he went too far. Clere is taught by Agatha Sigrun and Athena Sigrun in magic and martial arts from young. Eventually, she continued her training under Gale. Turtle Breathing Technique (龟息功): A utility technique which builds [qi], stamina, vitality and allows the user to hold his breath for long hours. First seen in Chapter 10. Cursed Ink Technique: It has both physical and magical components. Its physical strokes are a combination of calligraphy, swordplay and pole techniques. Its magical component is [Cursed Ink], where a user emits [Cursed Ink] as a medium to cast spells or enchantments. By drawing out incantations, the user can inflict all kinds of magical attacks with their imaginations. All character profiles will update as the story progresses. This is updated to Chapter 31. Chapter 20 – A Kiss Of Betrayal Or A Kiss Of Death?